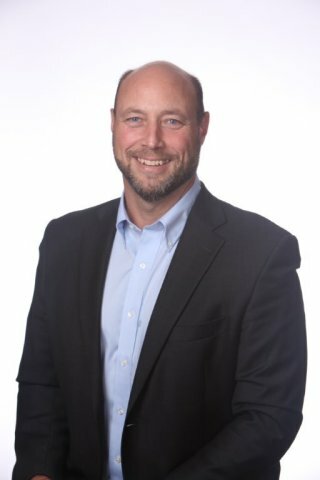 SAN FRANCISCO--(BUSINESS WIRE)--BuildingIQ, a leading energy management software company, announced today that its board of directors named Michael J. Nark as the company’s president and chief executive officer effective September 7, 2013. He succeeds founder and CEO Michael Zimmerman who will assume the role of senior vice president of business development for the company. Nark will also serve on the board of directors and brings over 25 years of experience and leadership developing technology companies in the energy and industrial space. As BuildingIQ continues its fast-paced growth, Nark’s extensive experience in sales, marketing and operations will drive demand and awareness for the company’s award-winning energy management solution. Nark joins BuildingIQ from Power Analytics, an energy and software business where he served as president and CEO and was instrumental in expanding the company’s global presence in the electrical infrastructure markets. Previously, he served as president and CEO of Prenova, a technology-enabled energy management services company, as well as president and CEO of GEOCOMtms, a supply chain software provider. Nark also held senior executive positions in a number of other growth stage technology companies, including Honeywell. He holds a B.S. in engineering from Miami University of Ohio. BuildingIQ is a leading provider of advanced energy management software that actively predicts and manages HVAC loads in commercial buildings. As the only supplier of patent-pending Predictive Energy Optimizationtm technology, BuildingIQ’s cloud-based solution is powering energy and operational savings in buildings across the globe with reductions in HVAC energy costs by as much as 25 percent. BuildingIQ delivers measureable results and has received backing from tier one industry leaders including Aster Capital (backed by Schneider Electric, Alstom and Solvay), the Venture Capital unit of Siemens Financial Services (SFS VC), Paladin Capital and the Energy Division of the Commonwealth Scientific and Industrial Research Organisation (CSIRO). Recognized as a leader in its industry, BuildingIQ most recently was named winner of the 2013 Bloomberg New Energy Pioneers Award, a 2013 Cool Vendor in Green IT and Sustainability by Gartner and listed on the 2012 Global Cleantech 100 and AlwaysOn Going Green Global 200. For more information, visit: http://www.BuildingIQ.com/. BuildingIQ announced today that its board of directors named Michael J. Nark as the company’s president and chief executive officer effective September 7, 2013.